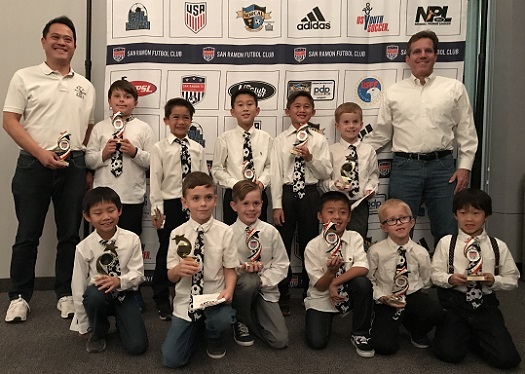 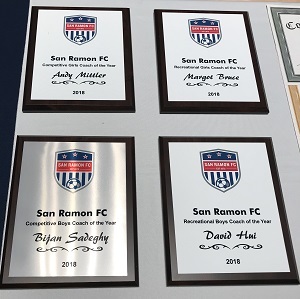 In an hour-long ceremony on the evening of December 5th, our club honored our teams, players, and coaches for their achievements during the 2018 season. 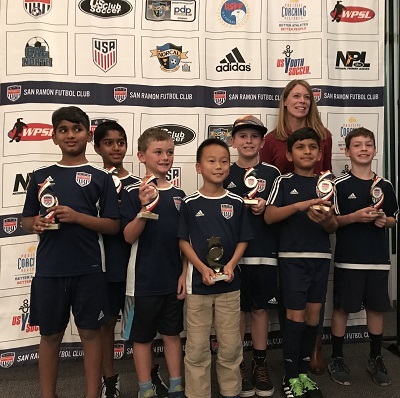 Teams in our Recreational, Select, and Competitive programs were honored for earning a 1st place finish in their respective fall leagues. 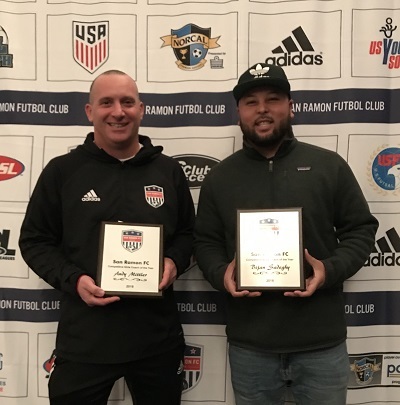 We honored four coaches in our Recreational and Competitive programs for “Coach of the Year” recognition. 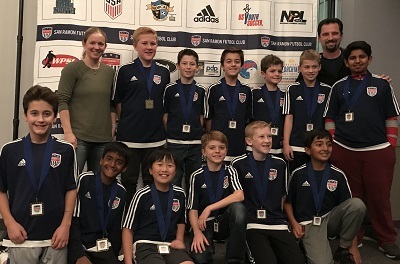 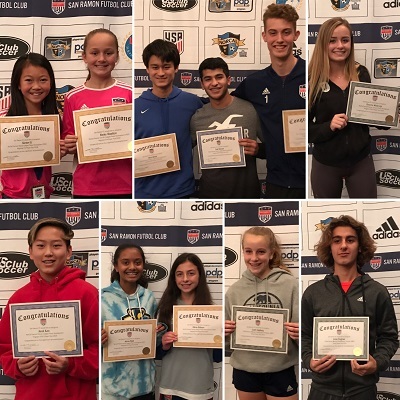 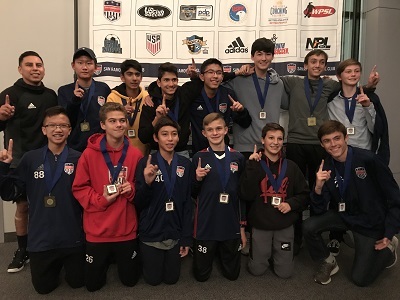 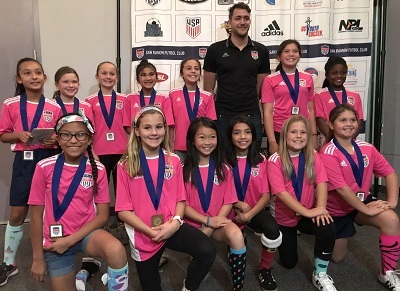 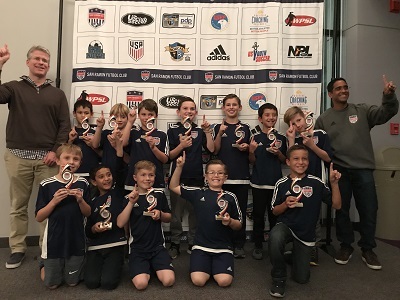 We also recognized 25 competitive level players for their selection to participate in one of two advanced level regional training programs, called the Player Development Program (PDP) and Olympic Development Program (ODP). 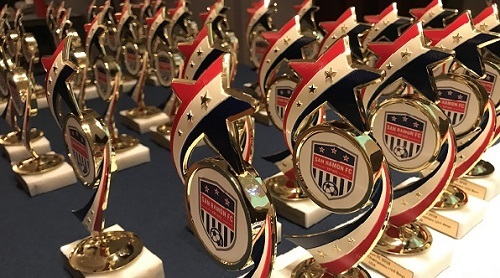 Executive Director Dan Chamberlain served as master of ceremonies and Technical Directors Mani Salimpour and Zlatko Tomic assisted with announcing the awards.